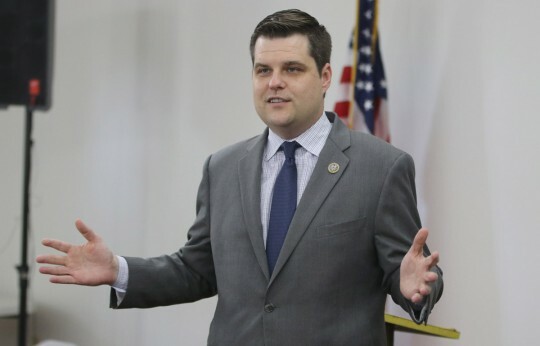 Congressman Matt Gaetz will hold an “Open Gaetz Day” in Jay and Century on Thursday, February 21. The day will conclude with a 6 p.m. public town hall at the Linda Carden Community Center at 5259 Booker Lane in Jay. Earlier in the day, he will visit Jay High School, a legislative luncheon in Jay with invited local officials, the Terrace at Ivy Acres Assisted Living Community in Jay, Century Town Hall for a round table with city and chamber officials, Escambia River Electric Cooperative and the Jay Oil Field. Those events are listed by Gaetz as open only to involved parties and the media; however, the Town of Century has issued a public notice for their meeting. Pictured: Congressman Matt Gaetz during an “Open Gaetz Day” event last year at the Walnut Hill Ruritan Building. 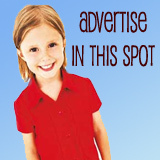 NorthEscambia.com photo, click to enlarge. ain’t a surprise though ! When the lefties squeal and complain, you’re right over the target. Bombs away, Matt! Embarrassed? How? Would you rather be represented by Corrine Brown? Amazing. The same left wingers who have taken over this site with their comments as their own venue. I’m embarrassed to be a Floridian when Gaetz speaks. My friends from all over this wonderful country will actually call me to ask, “does this right lying nut case represent a typical Florida congressman or is he delusional?”! I just tell folks he’s a Trump lapdog with no other unique ideas of his own. Gaetz spins the truth better than Sarah Sanders. Sad! Congressman Gaetz has been an embarrassment to many of us who are not Alternate Right followers.